Ask yourself this: when was the last time you popped some poo at your family and friends? 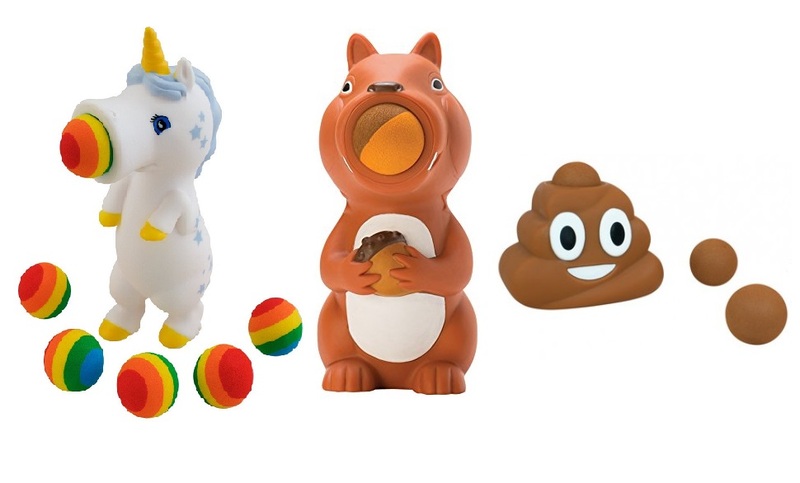 Hopefully not recently (unless you have severe emotion problems, or you are a chimp), so why not remedy that with one of these fun pocket money toys? 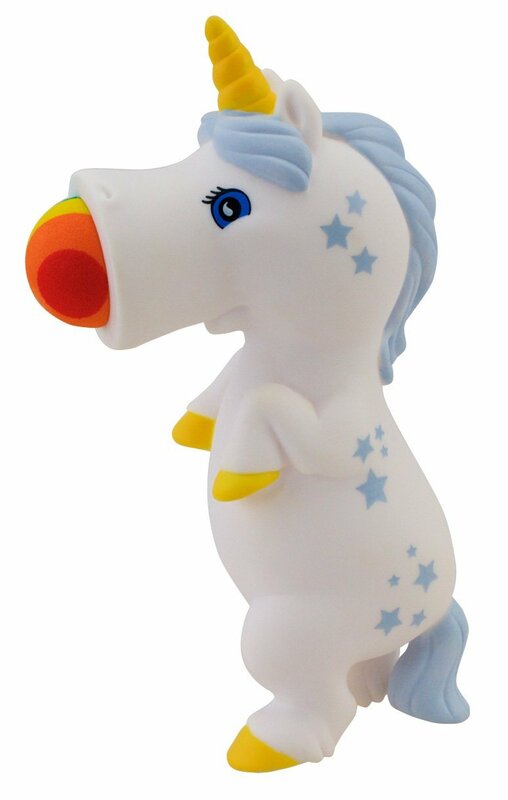 We've been popping poo, nuts, and even magical rainbow balls thanks to Cheatwell Games' Squeeze Poppers. What are these? Well, imagine a squeezey toy - the type your dog might have - then put a big hole in the top and supply it with an arsenal of foam balls. Push in a ball to the hole, take aim, then squeeze for all your might. Behold, the ball will launch with all the ferocity of... a ball... made of foam. Huzzah! Cheatwell kindly bunged us three of the Squeeze Poppers; The Rainbow Unicorn, the Squirrell and the extremely unique Poo Popper. All three are essentially the same toy, but shaped and decorated differently. 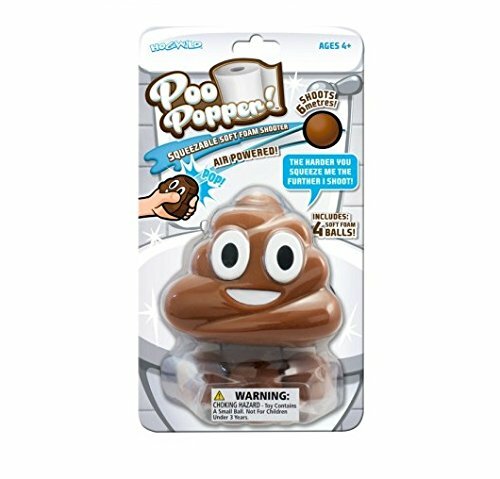 Why, there's a Popper for the whole family! 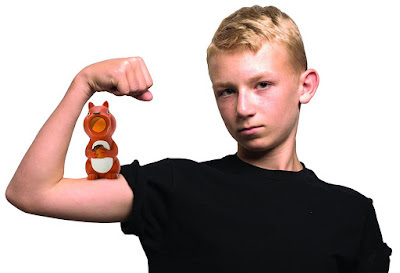 On that note, these are targeted at kids aged from four years, and we can see why. Although the velocity of the balls is quite low (we managed about 20 feet with our hardest 'squeeze'), they do require quite a bit of force to achieve that. We gave one to an almost three year old, and he didn't possess the hand strength to successfully squeeze off a shot. Sure, he could stamp on it, producing equally fun outcomes, but that is one thing to note. Our favourite? Probably the Rainbow Unicorn. There is something intrinsically awesome about being able to launch a rainbow at a moment's notice, and we feel these would be well implemented at Pride parades. Imagine the fun (although be cautious about making 'ball squeezing' jokes). As well as the three we were sent, you can also bolster your ranks by additionally purchasing a penguin, a dinosaur, a pig, a dog, a different kind of unicorn which is pink, and also a whole series of Monster Poppers including a zombie. All come with five or five foam balls, to keep your ball battles long and interesting. Less than a tenner each, the Squeeze Poppers from Cheatwell Games are a fun and action-packed novelty.